Want to learn how to make a St. Patrick's Day cake in a cup? Bee's Knees will show you how! 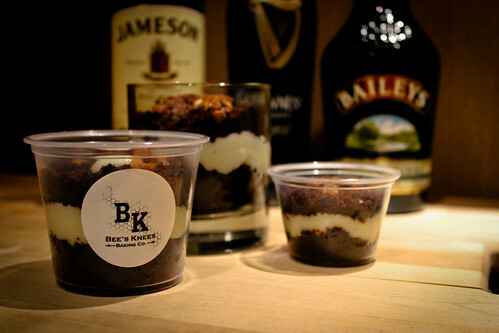 Five lucky people will win a chance to take photos and learn how to make a delicious Irish Cream Cake Cup. The event will be Wednesday, March 13th in the afternoon in New York City, so you must be available at that time to attend. It will be in a baking space in Chinatown. Bring your iPhone or Android; Instagramming the demo is highly encouraged. Enter only via the a Rafflecopter giveaway link. Comments not accepted. I will announce winners on Monday March 11th, so you please enter right away. Erin Go Braugh!